Having shopped around they won't be Serengeti again - well not from onshore that's for certain. As Drubbing mentioned above, these guys are pretty good on prices - but as you hinted, not onshore. Hi, going into summer here( well almost, a lot of the trees still haven't leafed out(;-( yet). As I wear corrective lens I look to buy "clip on". For what ever reason most "Sun Glasses" companies here, don't advertise or sell 'clip on'. Any input on "clip ins"?? Can't you get prescription sunglasses? I'm sure you can also get photochromic (i.e. self shading) prescription lenses. Kills two birds with one stone. Hate to admit It but Organization is not one of my strong points. I have a pair of Scissors in each room and each car. Same with flashlights(torches). So... 3-4 pairs of clip on would be my ideal. Scissors? In each room and for some reason in each car? Are you a tailor? I've always liked the idea of clip-ons. Especially the hinged ones you can flip up and down. Great theatrical value. Unfortunately my family would not allow me ever to wear any. Aside from that I stopped needing prescription lenses and had nothing to clip them on to. Haven't seen them for sale anywhere for decades to be honest.
. Aside from that I stopped needing prescription lenses and had nothing to clip them on to. . I still have and use a pair of Zeiss sunnies that I bought back in the 80s, and I recently bought a pair of the largest Raybans. Being a member of the Fathead Club, I should perhaps have looked at the giant Serengetis, but as stillshunter notes, I would have had to have taken another mortgage on the house to afford them. Problem with prescription sunnies is the range is very much dependant upon your prescription. The stronger it is, the more it tends to restrict your choice in wrap around styles. Is a good excuse for those with strong prescriptions to rock Aviators though. I have my Maui Jims, and they are a little over 5 years old. Replaced the nose bumpers under their lifetime warranty, they didn't even blink. My ones float in salt water, which is good, because I surf with them on, and they do fall off a bit. Just scoop them up and carry on (or wear a neoprene strap). I replaced the lenses a couple of years back, from a place called thesunglassfix.com.au. I think they are based on the NSW north coast. $70 or thereabouts for glass that was even better-specced than the originals. Several choices of tints and shade depths. From memory, they may also do prescription glass, or cut custom shapes if you have odd/rare sunnies. I think for shapes, you send your sunnies to them and they quote. Honestly, I wouldn't hesitate to use them again. Forgot we had this page. I got a pair of these a while back - very happy with them. Bayonet temples, the U.S. military standard, allow for one handed easy-on and easy-off wearing. True Color® gray optical glass lenses do not alter the colors of what is being viewed whereas ALL other lens colors will. Optical glass lenses resist scratching much better than Color Correct® polycarbonate (plastic) lenses. 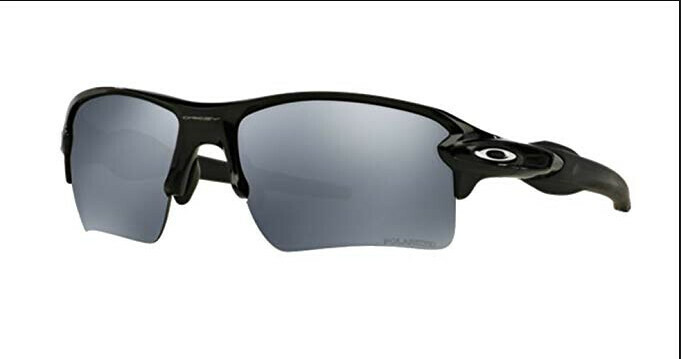 POLARIZED LENSES - Due to the cumulative effect of polarized lenses in sunglasses and the polarized view screens of almost all electronic devices, use of these devices may be impossible while wearing sunglasses with polarized lenses. The resulting effect is a distorted or blacked out view. For this reason, U.S. military pilots are prohibited from wearing polarized lens sunglasses. All seems to fit with my experiences - and they really are not that expensive. You need the right face shape for square aviators. I never looked right in them. Again, from Otticanet. Again took 4 days. Got my eldest boy some some kids raybans from there too for his birthday. I lose (or break) them too frequently, so just buy decent safety glasses from Bunnings, which I can at least claim back against tax. Note that I never claimed I did! I bought a 5-lens interchangable set for the bike, then went looking to get the insert filled with a standard lens. All the places here wanted $200+ for them which is ridiculous. Got my current prescription glasses lens replaced with anti-glare coating, a new set of glasses (nothing special, spare set), and the insert fitted into the sunglasses lens holder. Total cost? 200 Ringgit - or a smidge over AUD$60. Oh, and they did them all at the shop - none of this sending away to a specialist place to grind. 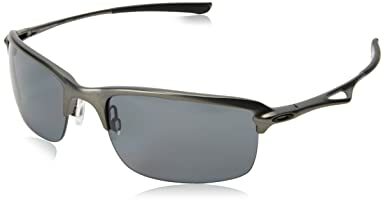 Not that we get much sun in the UK, but when we do these are my go-to glasses, Serengeti Luigi 7382 Sunglasses. I’ve had glass, photochromatic, polarised, high contrast glasses for the last 20 years. Spotters then Mako, each lasted ten years. One got crushed, the other is at the bottom of a dam in qld after I fell off a SUP. Note to self: buy floating frames next time. While I love the optical performance and scratch resistance (don’t knock it until you’ve tried it - particularly in full sun), there is one negative being the weight of the glass. Slips down your nose, particularly when riding a bike / sweating etc. anyone looking for a good O/S retailer for sunnies, I can recommend (highly) this place https://www.pretavoir.co.uk/au/. Picked up some raybans from here not long ago, half the price they were locally, delivered by courier within two days.